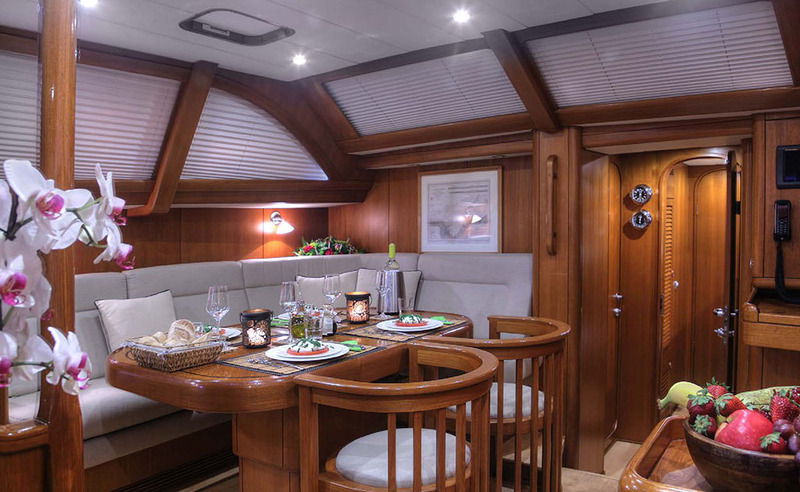 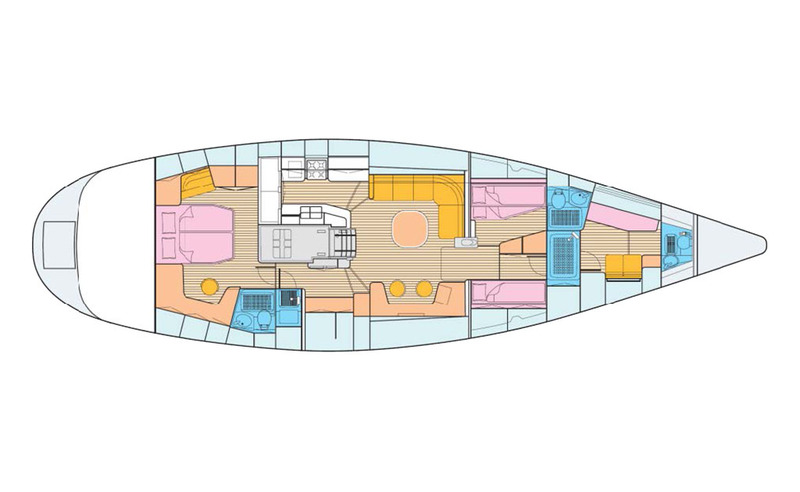 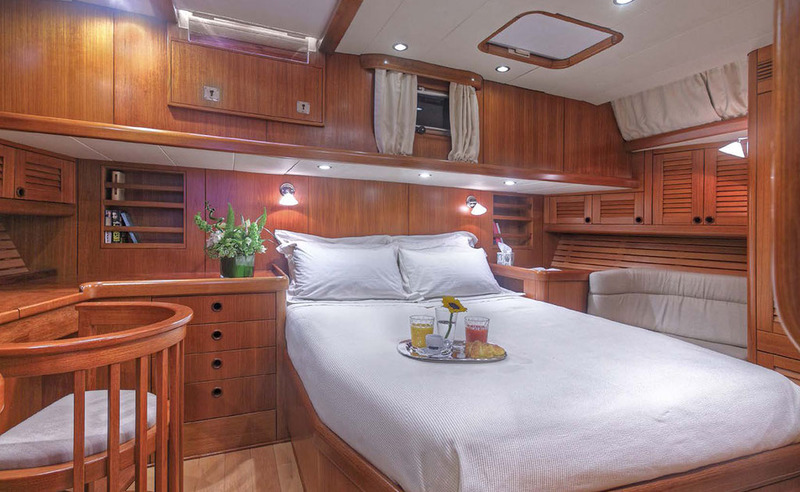 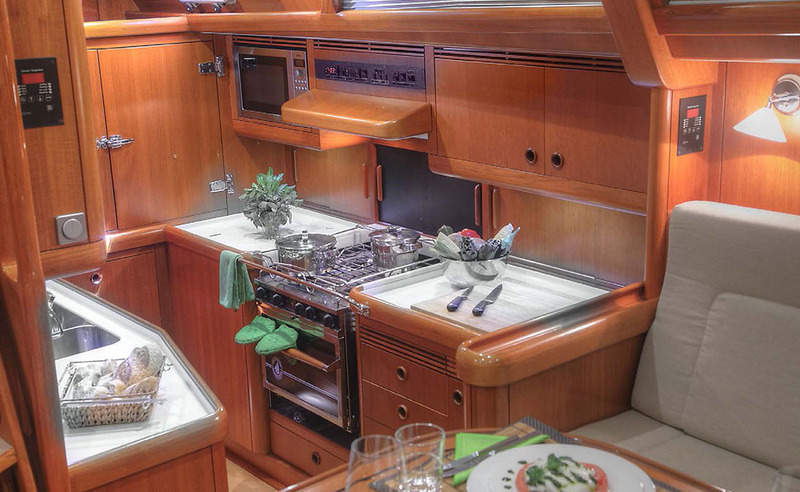 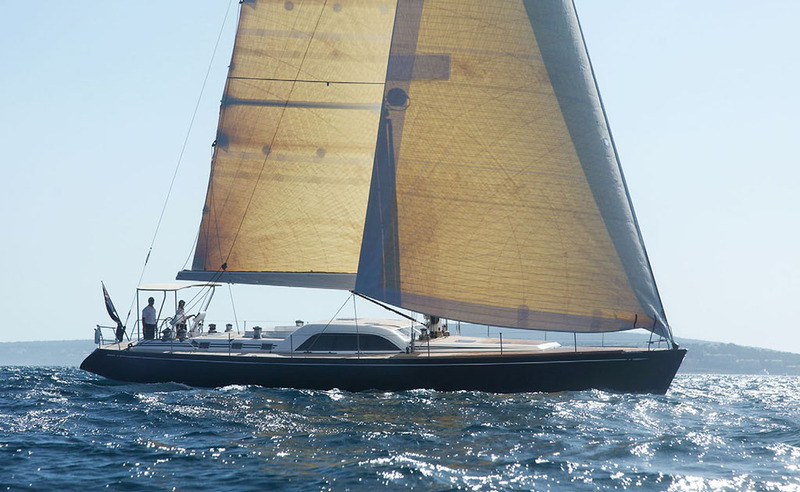 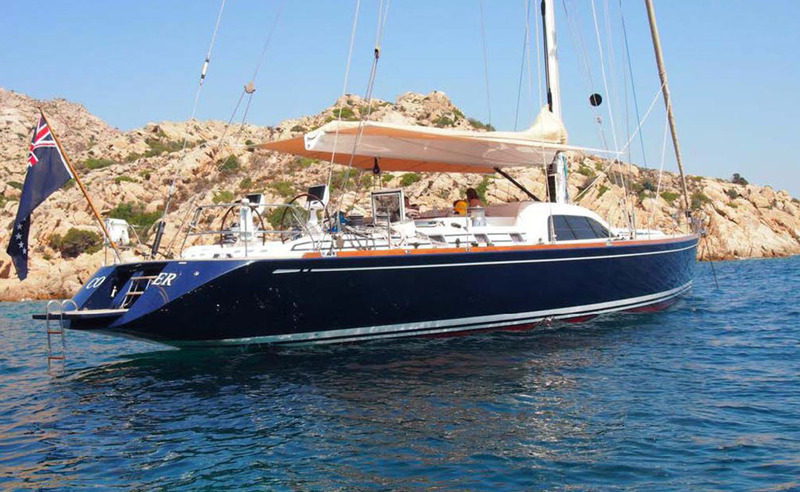 Below deck, Constanter’s layout is spacious and practical, and all cabins are air-conditioned with individual climate control. 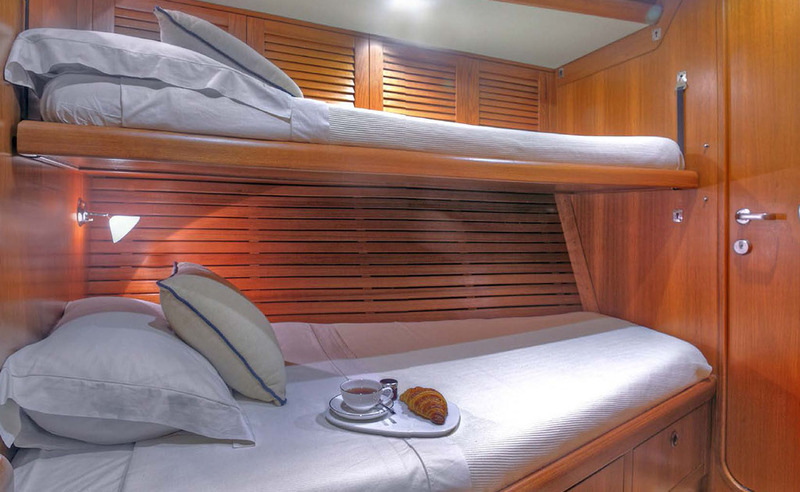 Constanter can accommodate 6 guest in three air conditioned cabins. 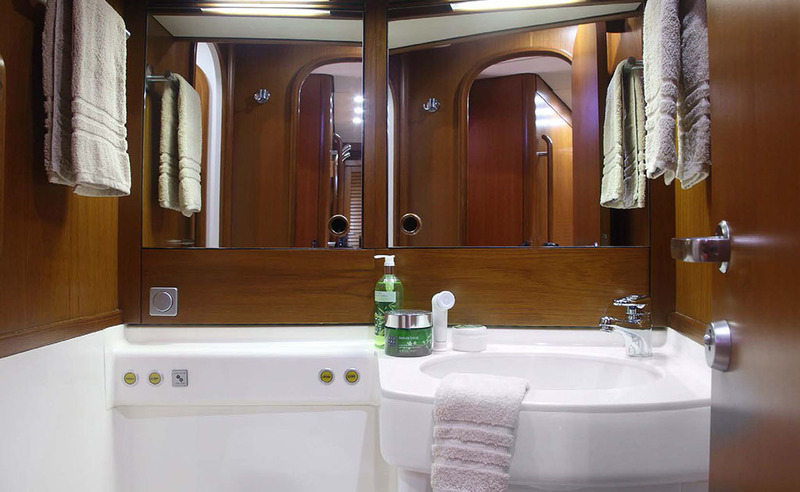 The full beam master cabin has a large double, ensuite with separate shower facilities and a surround sound TV. 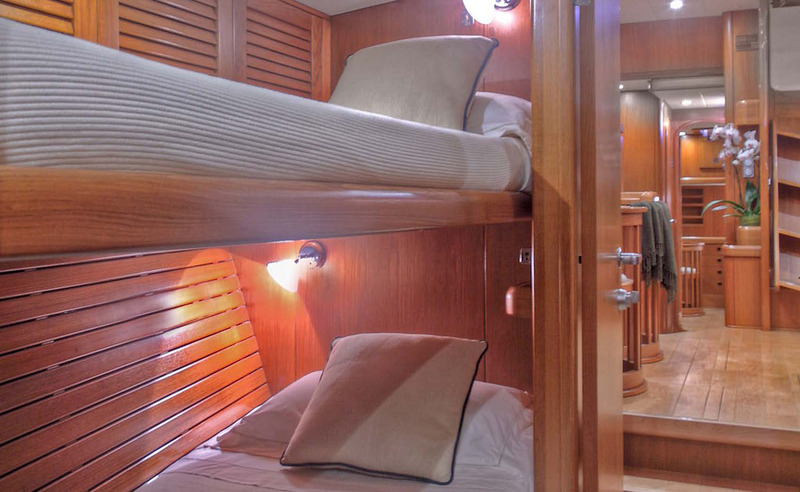 The port cabin has a lower single which can be extended to a double and a single upper bunk which can be stowed away if not required. 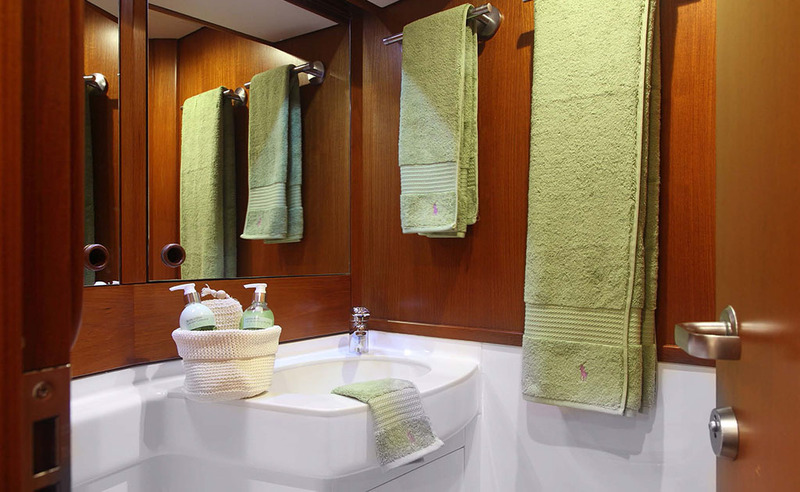 It’s generous bathroom and huge separate shower room is shared with the starboard cabin which has twin bunks. 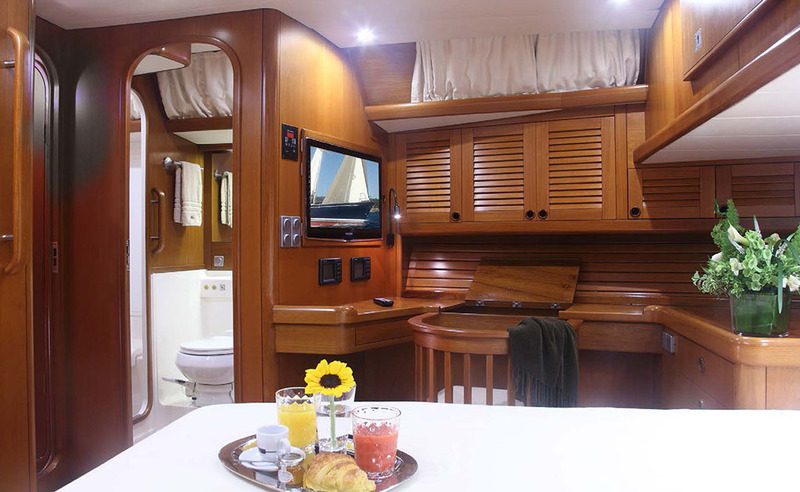 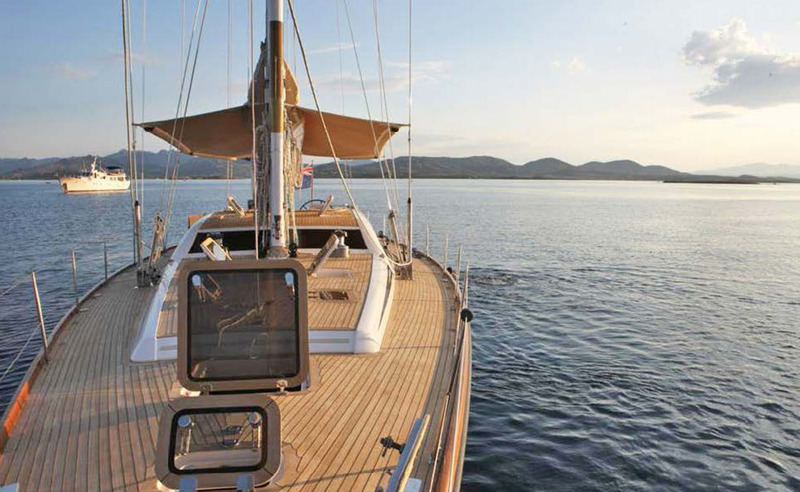 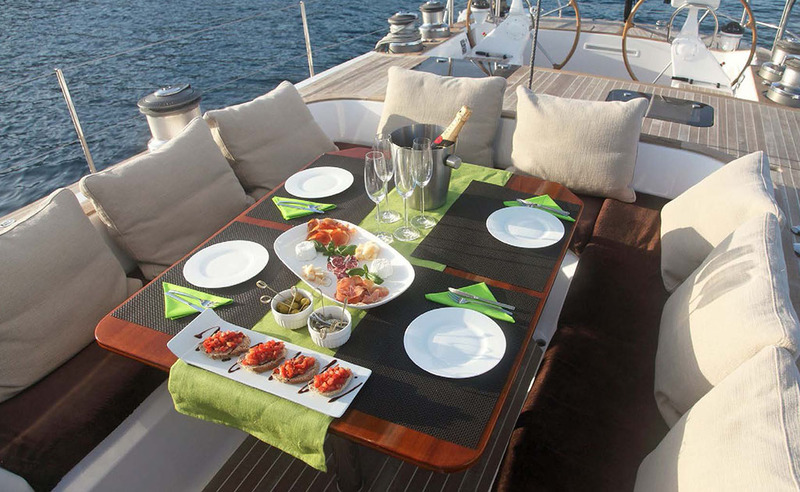 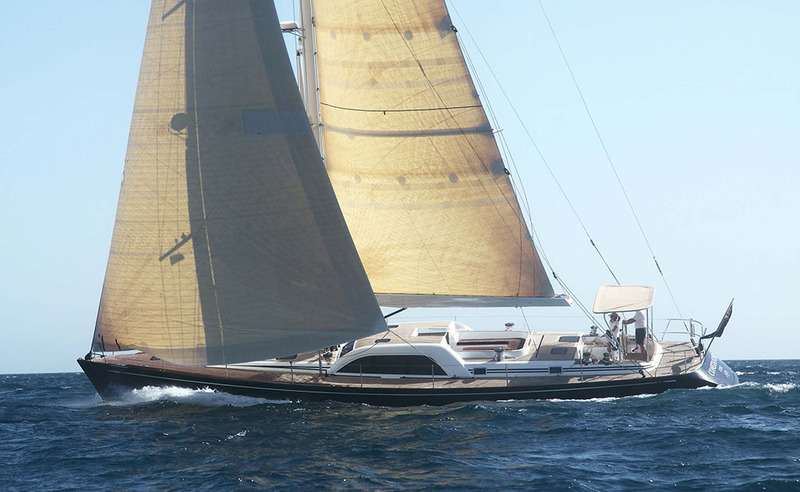 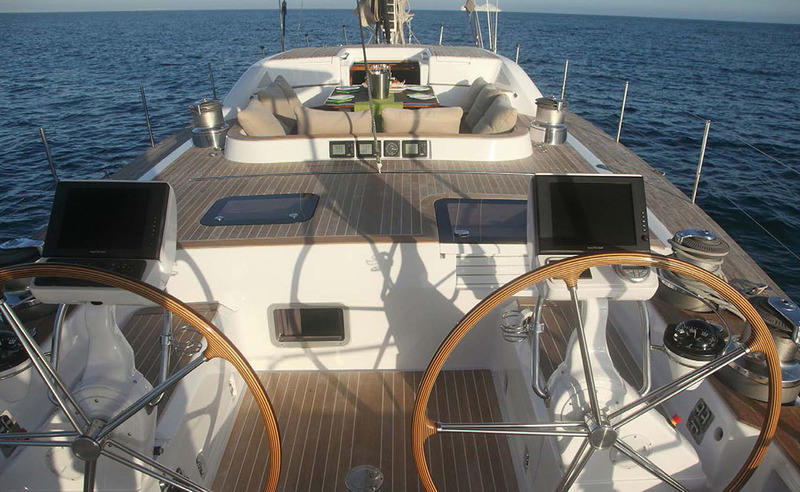 The crew is accommodated separately and forward with their own facilities.